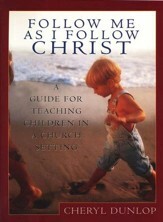 Whether you recruit Sunday school teachers or have just been recruited, this essential guide gives the needed confidence to joyfully embrace your new role. A leading expert on Christian education, Towns offers quick and easy tips on how to prepare and present a dynamic Bible lesson---even on short notice! Ideal for beginner and refresher training. 154 pages, softcover from Regal. 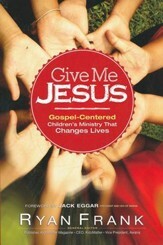 Few spiritual experiences are as satisfying as sharing God's Word with children, youth, and adults. But if the pastor suddenly asks you to teach next Sunday--and you've never taught before--the prospect can be terrifying! Let Elmer Towns put your fears to rest! 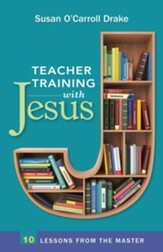 This down-to-earth, inspirational training book by one of America's leading experts on teaching Sunday School consists of 24 "bite-sized" topics covering everything from motivation to gifting to teaching methods. 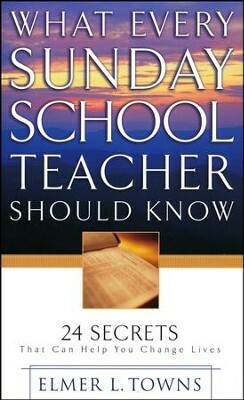 This makes What Every Sunday School Teacher Should Know easy to follow and learner-friendly for both first-time and experienced teachers. Use it to inspire, educate, and change lives! Elmer L. Towns is dean emeritus of the School of Religion and Theological Seminary at Liberty University, which he cofounded in 1971 with Jerry Falwell. He continues to teach the Pastor's Bible Class at Thomas Road Baptist Church each Sunday, which is televised on a local network and Angel One. He and his wife, Ruth, live in Forest, Virginia. 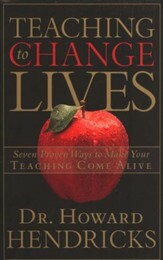 I'm the author/artist and I want to review What Every Sunday School Teacher Should Know: 24 Secrets That Can Help You Change Lives.